Product #26859 | SKU ARL-01T-D | 0.0 (no ratings yet) Thanks for your rating! The Double 15mm Rod Clamp with ARRI Rosette Lock from Lanparte mounts on any equipment featuring a 15mm rod system by clamping onto two rods. 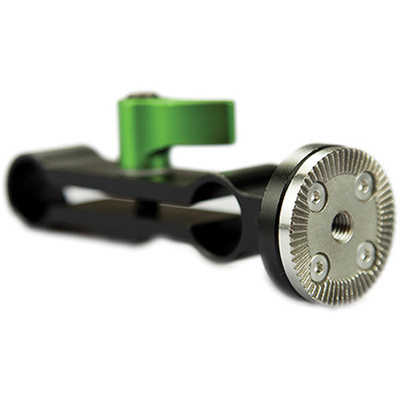 Use the rod clamp for attaching any accessory with an ARRI rosette (such as an arm, EVF support, etc.) to your set-up.